This is what happens when you don’t use a torque wrench! Wouldn’t that be great. Just imagine those blades flying off when the nut comes loose. Alas, this was nowhere near as dramatic. 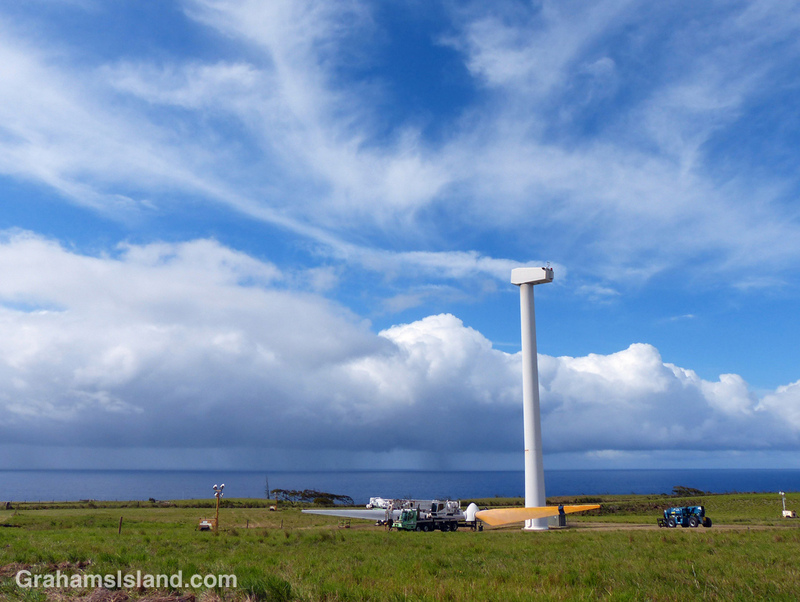 This is Hawi Wind Farm in North Kohala. I saw the cranes in place one Friday afternoon, and the lighting units suggested night work. Nothing happened that weekend. On Monday, ropes were attached to the blades. On Tuesday, this scene was what I found, the blades having been removed overnight. 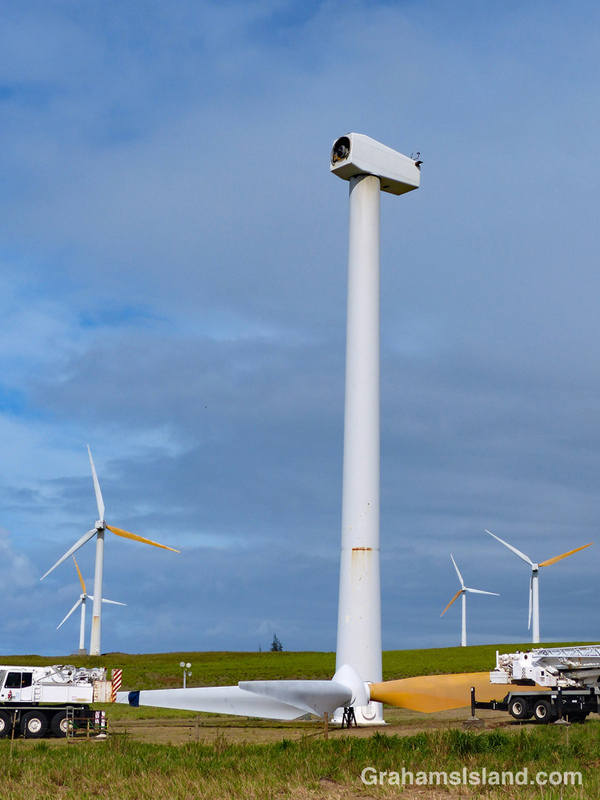 On Wednesday, everything was back to normal, with this turbine whirring around in concert with the rest of them.